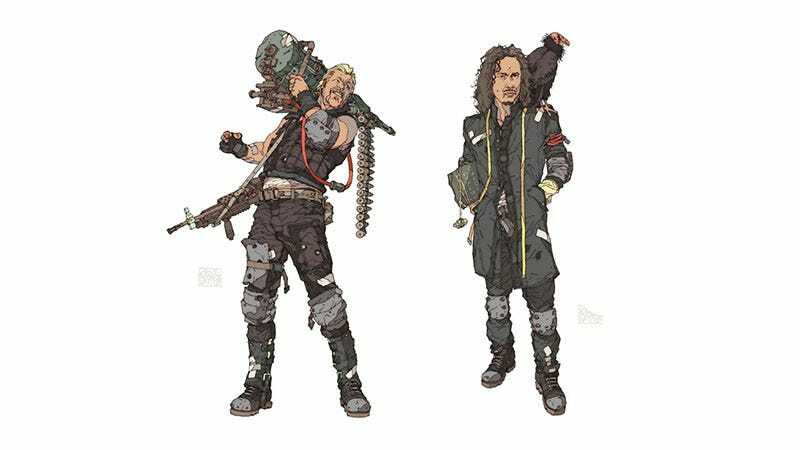 Reminder: over a decade ago there was a proper Metallica video game in development. It never got very far—all we ever saw was a short trailer and some excellent concept art—but recently some footage of the game in action has been uncovered. PtoPOnline managed to get hold of a very early build of the game (called Damage Inc.), featuring only a single half-finished level, but there’s enough there to get a feel for it. As the concept art suggested, it was a vehicular combat game (though you could get out on foot if you wanted) set in a post-apocalyptic wasteland, where you drive around in cars that have guns stuck on them and shoot at other cars and stuff and probably people as well. This is the PS2 build of the game, though there were also Xbox and PC versions being worked on for a planned 2005 release.